I can't go into every detail of my scripture study this morning, but I wish that every day of scripture study was like today. I feel so much more alive. Today I am grateful for waterproof mascara, among other things. Today I'm having a Barbosa moment. Meaning that "I feel..." Instead of being numb. I'm currently strangely optimistic about that. Despite dehydrating myself by losing it all through my eyes, I feel a strange satisfaction in knowing that at least I'm alive. Everything at church and with my family today felt more meaningful, thanks to my broken heart. I even like myself more than I did when I woke up today! Though it may sound crazy, at this moment I feel really grateful for my recent pain. 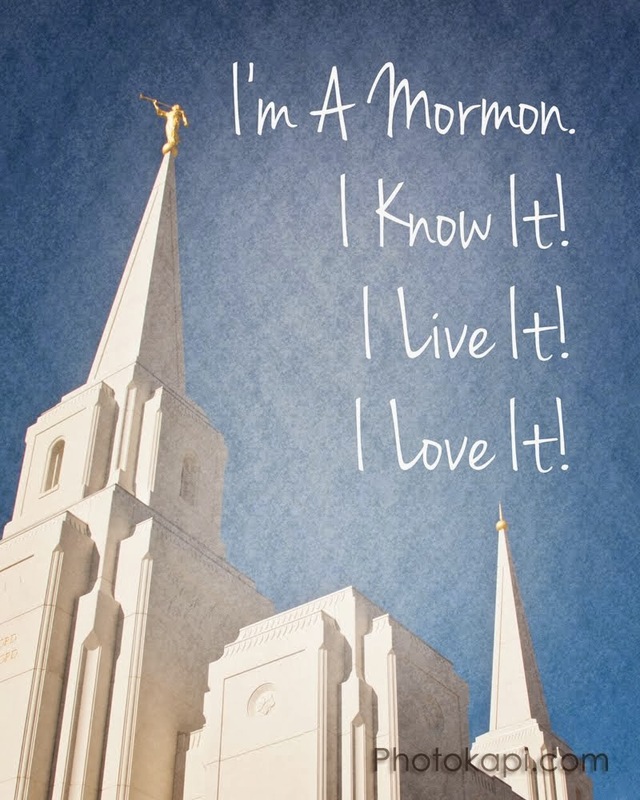 My siblings watched a bunch of Mormon Messages today, and part of the Chris Wiliams one stuck out to me: "I'm grateful that God allows trials and tragedies to occur in our lives. Not because they're easy, or because they're desired. But because they help us love." One of my least favorite feelings is the frustration that comes from being silenced. There are a lot of ways it can happen: being cut short in a class or conversation setting, being ignored in the first place, being praised for being quiet and agreeing, or being told straight that "We're not talking anymore for now, goodbye." I recognize that there are reasons in people's minds to justify these. Maybe even valid reasons in some circumstances. Maybe my comment was longer than they preferred, or doesn't match the conversation/lesson plan they had in their mind. Maybe they have attention problems. Maybe they are afraid of confrontation. Maybe they have a bad temper and have to end conversations early to keep themselves from losing it. Maybe my comments are not always the most informed or correct. But do any of those reasons justify silencing another person? Does being imperfect in my communications warrant taking away my voice? I wish people had the will and strength and courage and desire to talk things out, whether it be a teacher, a church leader, a family member, a co-worker, or a friend. Whether the conversation is simply awkward, complexly emotional, long/boring, or thought-provoking and mind-shifting. Anyhow, in my effort to be more authentic, I must be heard. Or at least, I must say. That's kind of the point of these Honest Opinion posts, isn't it? So there you have it. Honest opinion: being silenced is a terrible feeling. Not sure of all the applications from there, but that much I know. I do resolve to speak out more, and will figure out the means and methods of doing so as I go. 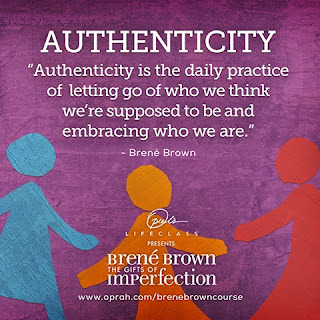 So, I've decided the guidepost I'll be working on right now is Guidepost #1: Authenticity. 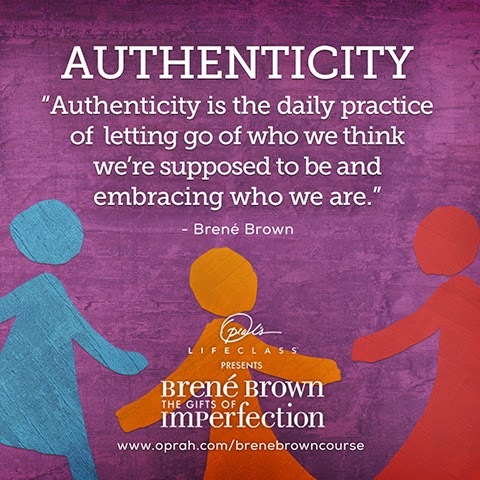 The full title is "Cultivating Authenticity and Letting Go of What People Think." No big deal, right? Ha. This is going to be a challenge. I am always looking for approval. This guidepost requires letting go of that. My initial response is, "If I let go of that, what do I hold onto??" And I don't know if I have an answer. I know that I can feel God's love, and even His approval, as I've felt it many times. But is love from God really meant to be enough? He put us on this earth in families, and with friends. We are meant to connect. I can accept that God's love should be the most important. But is His love the ONLY love that matters? Perhaps what I'm forgetting is that people are capable of loving me, even if I am myself, and even if I don't always agree with them. Even if I hurt them through carelessness or my other imperfections. My heart wonders, is that true? Anyhow, these are some of my thoughts, and I want to document how I genuinely feel (here I go, cultivating authenticity!). As I go forward working on this, I think I will concentrate on being true to my beliefs and values. It feels less self-focused than focusing on "being me." Instead I will focus on being true to my values and beliefs. Part of my plan is to do a few more Honest Opinion posts. As I post on Facebook or elsewhere, I'll make an effort to be honest, not just clever. As I talk to people in person, I will make an effort to follow one of Brene's mantras: "Don't shrink. Don't puff up. Stand your sacred ground."